Business Interruption Coverage Myths | The Voss Law Firm, P.C. Business interruption insurance coverage can be confusing and hard to understand, especially when you’re trying to recover as fully as possible after a large-loss fire or other disaster. In fact, it’s so confusing that it’s really no wonder that many business owners have misconceptions about business interruption policies and what they cover. To help you get a better understanding of business interruption coverage, Attorney Bill Voss would like to share some important information with you that busts six common myths. Business interruption coverage is only triggered under specific circumstances. Your business must be unable to operate due to damage or losses that prevent employees from working or prevent customers from accessing the business. Business interruption insurance does not usually cover suspensions or slowdowns. It generally only covers events that stop operations over a significant period of time. Business interruption coverage does not usually begin until a few days after the event that stopped your ability to do business. Business interruption insurance does not go on forever. 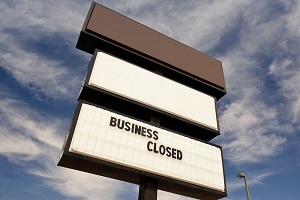 Many policies stop coverage after business has been halted for a year. Business interruption does not cover unfavorable business conditions. Business interruption does not often cover costs outside of lost net income, temporary relocation expenses, and other limited ongoing expenses. Remember that all insurance policies are different. Make sure that you read your business insurance policy closely and that you understand clearly the situations in which you may file a business interruption claim. This is such a common myth, but it can cost your business dearly. Business interruption is usually not part of your business insurance plan. Instead, it is typically an additional and optional coverage. The best step you can take to protect your business from unforeseen catastrophes is to read your insurance policies carefully and speak to your agent about your exact coverage. Most business interruption policies have a waiting period of several days after an incident before coverage starts. When coverage does begin, it does not usually retroactively cover the losses that you suffered during the waiting period. You should also know that most business interruption policies stop coverage after your business has been stalled for a certain period of time. This is a very dangerous way of thinking that could be damaging to your business! You should do everything in your power to prevent losses, even if you have coverage. Consider that insurance companies will examine what precautions you are taking against business interruption—such as sprinkler systems, smoke alarms, and contingency plans—when pricing your policy. Carrying business interruption insurance doesn’t mean that your company can drop the ball when it comes to mitigating interruption losses. Whether you are working to prevent business interruptions in the future or dealing with immediate damages, it’s important that you take responsibility for taking care of business. Business interruption can happen for a wide range of reasons, from technology breakdowns to damaged property. When it does happen, your income may stop while many other expenses—such as rent and payroll—continue to pile up. Even a few days of business interruption can seriously harm your business, so it’s important to carefully consider your needs for business interruption protection. Even when business owners do everything they can, like purchasing business interruption insurance to ensure their business’s profits during a catastrophe, they may find themselves battling with their insurance companies for losses. Business owners buy this type of insurance to protect themselves and their companies in the event of a disaster and interruption in their operations. However, once a business turns in a claim for business interruption losses, there may be a big difference between how the insurance company looks at the loss and how a business owner evaluates the loss. Business owners and insurance companies often battle over the amount of losses that should be reimbursed under a business interruption insurance policy. When this occurs, attorneys who are used to negotiating with insurance companies can often help get business owners a fair amount of the losses reimbursed. If necessary, an attorney who is experienced with denied insurance claims can also represent that business in court. If you need assistance with your business interruption claim, we are here to help. Call the Voss Law Firm today to speak with our knowledgeable attorneys in a free claim review.